WASHINGTON — The founder of Virgin Galactic says he now expects to fly on the company’s SpaceShipTwo suborbital vehicle around the middle of this year after a series of test flights starting in the next several weeks. In an interview on the “CBS This Morning” television show Jan. 24 to announce a partnership with athletic apparel company Under Armour to provide clothing for Virgin Galactic customers and employees, Richard Branson reiterated his plans to fly into space later this year on the first commercial SpaceShipTwo flight. 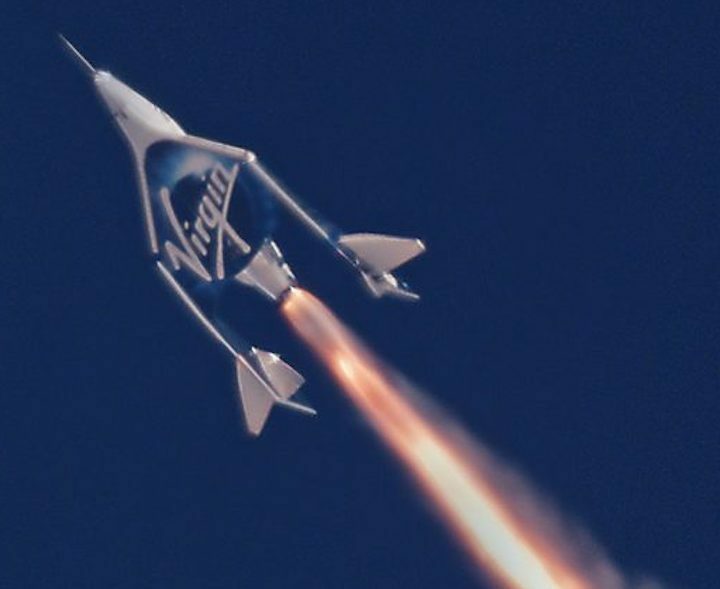 That plan for test flights is consistent with what Branson told reporters in December after the latest SpaceShipTwo test flight at the Mojave Air and Space Port in California, where the vehicle for the first time flew above the 50-mile (80-kilometer) altitude used by U.S. government agencies for awarding astronaut wings. “Ideally, we want to do three more flights before we go to New Mexico,” he said then. At the time, he said that next test flight could take place as soon as January. Virgin Galactic executives have been more circumspect about the number of test flights and their schedule. George Whitesides, chief executive of Virgin Galactic, said after last month’s test flight only that “not a huge number” of test flights are planned before beginning commercial operations at Spaceport America in New Mexico. Branson appeared on television with Kevin Plank, chief executive of Baltimore-based Under Armour, to announce their apparel partnership. The agreement covers not only uniforms that Virgin Galactic staff will wear but also spacesuits for pilots and spaceflight participants flying on SpaceShipTwo. In addition, Under Armour will develop fitness and training programs for Virgin Galactic’s customers. The companies didn’t reveal the designs that SpaceShipTwo customers will be wearing or other details, such as whether the suits will be pressurized and include a helmet. “The custom-fitted Under Armour spacesuits will inspire confidence through comfort and practicality without compromising the natural desire of every Virgin Galactic astronaut both to feel good and look good during this unparalleled life experience,” Virgin Galactic said in a statement, adding that the apparel designs would be unveiled later this year.